It is the rare but glorious lot of writers to create a cultural icon that lasts generations, one of those things that everybody just knows even if they’re not sure how. Tarzan is one such icon. 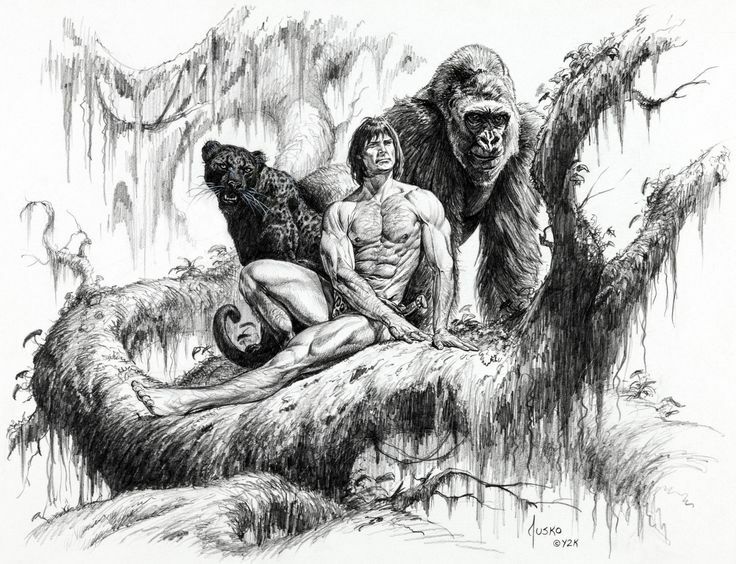 Who doesn’t know the image of the handsome, wild, muscular man swinging through the jungle with the agility of an ape? Sometimes there’s a girl in his arm, but to tell the truth, she’s not really necessary. 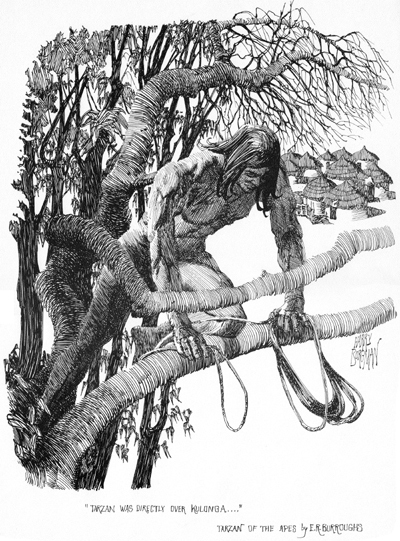 Like many such icons, Tarzan has been unmoored from his ultimate source. Everybody knows Tarzan, but most haven’t read Tarzan of the Apes, by Edgar Rice Burroughs. When I picked up Tarzan of the Apes, I was driven more by curiosity than the hope of a good story. Tarzan of the Apes was first published in 1912, and a century is more than enough to make a novel historically interesting. Even the novels that were radical unconsciously reflect the ideas and attitudes of their era (no one lives entirely free of his time). In this respect, Tarzan is interesting, even though what it reflects can be quite bad. The crude racist stereotypes are obvious blemishes, but the more subtle eugenicist ideas are the same poison – refined and intellectualized and so more pernicious. This book surprised me. It is darker and more violent than I anticipated, with a surprising dose of cannibalism from both white and black characters. Tarzan’s jungle divides itself pitilessly into killer and killed, and he himself is a wholehearted participant. Most of the characters, of whatever race or species, are scum. At the same time, it is far more thoughtful than I would have guessed. In the best tradition of speculative fiction, Burroughs uses fiction to explore an idea. He takes up the nature vs. nurture debate by putting a child of the best hereditary (in an eugenicist touch, the son of English aristocrats) in the worst environment (raised by savage apes in a virgin jungle). To Burroughs’ credit, he doesn’t offer a quick, cut-and-dried answer. Tarzan, the subject of his fictional experiment, is deeply influenced by both hereditary and environment. At the same time, Burroughs’ treatment of the question is generally unconvincing, occasionally ridiculous, and undermined by eugenicist assumptions. Burroughs explicitly grounds the explanation of Tarzan’s superhuman physicality in evolution, in the logic that human muscles and senses atrophied as we learned to rely on reason and would rejuvenate in an environment that demanded it for survival, but I didn’t buy it. Nor did I buy that Tarzan’s aristocratic genes made him instinctively gracious or chivalrous, or that he could become fluent in any language quickly. In a very real way, Tarzan of the Apes is a book of ideas. It’s just that the ideas are mostly claptrap. As much as eugenics, as an idea, deserves to die, its presence in Tarzan is part of the novel’s scientific bent. So, too, are the references to evolution, the nature vs. nurture debate, and the way an important plot point turns on this new thing, fingerprinting. If you don’t know what that is, the book explains it. A good part of the book’s darkness comes from its more realistic portrayal of apes in particular and African jungles in general. The portrayal is not really scientific; Burroughs attributes to the apes a language (however limited) and customs and laws (however savage). But unlike Disney’s Tarzan and The Jungle Book, which were developed out of a desire for fun, child-friendly stories with animals that talk and sing and occasionally even dance, Burroughs’ jungle society was developed in the spirit of the real jungle. The apes in this novel are violent, but so are apes in real life. To take Tarzan of the Apes strictly as art, the plot was well-constructed and the author unafraid of making decisive change in his hero and story. The love story, for once, was not completely predictable. The old professors were funny. I was still ready for the book to end in the neighborhood of page 150, and I got tired of the phrase “forest god”. Not much of the real Tarzan of the apes survives in his icon – not his propensity to kill, his blue blood, his superhuman strength. But the image of him in his jungle is enduring. Tarzan of the Apes may be good fare for those interested in culture, history, and old-fashioned pulp romps. Reader discernment is needed, however, and the novel is emphatically not for children. I open with this quotation for two reasons. The first is that today is July 4, and it is appropriate to Independence Day. The second is that, like Independence Day, it points to the creation of a nation. Nations, though somewhat maligned as, for example, a proximate cause of World War I, stand as the largest cohesive group yet formed by humanity. (Empires, though generally larger, possess unity no deeper than the edge of a sword – hence the inevitable dissolution of all empires, usually in short order.) Groups are defined by common identity. National identity is only an unusually modern way of defining us. Th e oldest method of creating a broad us is through blood, through a concept of family expanded to include thousands. Clans, tribes, kinship groups: all have been societies unto themselves, holding political power and social organization within a web of kinship. Common ancestry, real or invented, is an effective way of forging identity and unity, and a tenacious one. Even today, ethnic violence is often a reversion to tribal divisions, whose bonds prove stronger than overlying national identities. Religion also forms a basis for groups and for identity. Some religions (it isn’t true of all) transcend divisions by ancestry to create a broader identity. Islam, at its birth in the Arabian peninsula, did this; the Koran specifically forbids violence against fellow Muslims of different tribes. Christianity used to be a powerful force of cohesion in the West, a common source of moral standards, metaphysical beliefs, and – in such forms as music and literature – culture. National identity followed the rise of the nation-state. National identity encompasses any attribute or characteristic people wish to claim, from speaking Gaelic to fine cuisine to the Declaration of Independence. It often includes common ancestry or religion but often transcends them as well. The Reformation broke the religious homogeneity of Europe, and America never had much in the way of ethnic homogeneity; national identity is another avenue to unity. By all these things we forge identity, and by identity we create the us, and Man must have the us. The trick of it all is that if there is an us, there must also be a them. What bridges one gap may deepen another; if the presence of a commonality is reason to spare someone, the absence of it may be a reason not to spare him. Nations have broadened beyond tribes, but not risen above tribal impulses. So where do we go from here? Maybe you see evolution in all this and, with happy optimism, imagine that identities will grow broader and broader until they merge, in some distant utopia, into one universal identity. Maybe you think that that would be very nice, but unfortunately people aren’t, so it’s more likely that a regression into primitive loyalties and narrow identities will create a dystopia. Maybe you think that another basis of common identity is possible, whether culture or secular creeds or social class (Workers of the world, unite!). Whatever you think or imagine about the thorny issue of communal identity, of this – as of everything else – stories are made. The Greatest Showman (now in theaters!) opens with an exuberant musical number titled – this follows logically – “The Greatest Show”. It’s on YouTube, of course, though merely listening pales against viewing it and, even more, viewing it in theaters. Part of the brilliance of this song is that it captures what made the greatest show and it was, above anything else, the greatest showman. Do you want to go? This is the question P.T. Barnum put to the crowds that flocked to his circus. 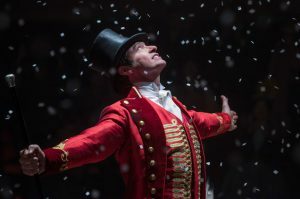 The greatest showman was not without a touch of the conman, and he knew the great secret of the con: The “mark” participates in his own deception. A true conman doesn’t outwit his victims; he sells them what they want, and their own desires override their judgment. A true showman is also in the business of selling people what they want, and if they forget it isn’t real, it’s only because they want to. Barnum never had any pretension of hoodwinking people who didn’t take it as a pleasure. Do you want to go? This is the question Hugh Jackman puts to anyone who ventures to his film. No one with a fine sense of balance, to say nothing of humor, could make a movie about P.T. Barnum and not mix in a dose of malarkey. The Greatest Showman lives by this. Happily anachronistic, luxuriating in the idea of 1800s New York without any undue attachment to the facts, making its nineteenth-century subjects reflect a little too clearly the values of its twenty-first century audience – it cannot be the way it was. But you’re willing to forget that for the spectacle and the joy and the thoughtful examination of a dreamer and his dreams. Do you want to go? This is the question that every book and show and movie asks. A great deal has been said and written about how that movie strains human credulity or this book breaks the facts clean in half. Dramatic courtroom revelations aren’t really a thing, a punch to the face is enough to end any fight, love at first sight could get you into a car with a serial killer, it’s ridiculous that anyone – even with superpowers – would choose to save the world wearing a cape but no pants. There are more solemn warnings of more pernicious falsehoods, reminders that we can’t really believe in the heroes and the happy endings, the perfect love stories and the last-minute rescues. Yet I wonder – how often are we really fooled? Are these constructed worlds really so persuasive? But we want to go. If you listen long enough, you will discover that Christmas is too much of many things. It is too commercial, too materialistic, too Christian, too pagan, too saccharine and nothing but an excuse for shameless capitalistic mongering. These opinions will be with us until the end of Christmas, and I have no ambitions of dislodging them. But there is one I would like to dispute. Christmas is a pagan holiday. I’ve heard this a lot, from people who approved and people who did not, and I’ve grown ever more skeptical. The historicity is vague at best, the thinking is demonstrably sloppy at times, and I see a fundamental confusion of the past and present tenses. The historical details of the claim are often hazy. For example: Which pagan holiday? Saturnalia? The winter solstice – and if so, whose? Because strictly speaking, the winter solstice is an astronomical event and a good number of cultures have made it a holiday. More importantly, when and where did Christmas first begin to be celebrated? What descriptions of it, or commentary on it, exist in ancient sources? Is the “Christmas is a pagan holiday” claim really just an inference from general facts? And this leads into the thinking that is, shall we say, less than rigorous. Very little is proved by the fact that Christmas takes place at roughly the same time as Saturnalia and several European solstice holidays (not to mention Hanukkah and Sanghamitta Day!). A midwinter feast is not a terribly original idea and it is quite possible that Christmas and Saturnalia both began in the Roman Empire and were still entirely distinct. That Christmas existed in the same time periods and cultures as pagan holidays may suggest associations, but it does not prove them. Another idea in need of debunking is the notion that anything used as a symbol by pagans is forever a “pagan symbol.” Among my favorite instances of this are the Advent wreath, supposedly pagan because it is a circle and circles are a pagan symbol for eternity, and the Christmas Tree, which reputedly has its antecedent in pagan use of evergreens as symbols of life and fertility. Part of the fallacy in this is the evident assumption that anything pagan is by definition anti-Christian. And this assumption is false; the divide between Christian and pagan may be large but it is not total. It is further obvious, as soon as you think it through, that the circle as a symbol for eternity and the evergreen as a symbol for life aren’t derived from some intrinsically pagan belief. They are derived from the nature of the things and from the universal cast of the human mind. A circle is endless, like eternity; an evergreen tree is living green when everything else is dead brown and gray. Pagans turned them into symbols before Christians did; there were, after all, pagans before there were Christians. But that does not make the symbols false or bad. Another part of the fallacy, and perhaps the most significant part for this discussion, is that symbols change with culture. It’s likely that pagans had, in evergreen and holly, associations that Christians do not. It’s possible that certain Christmas rituals were adapted, long ago, from customs with pagan religious meaning. And so what? Who has those associations or cares for those meanings now? And here we reach the confused tenses. Though I’ve never seen a compelling historical case for it, perhaps Christmas was pagan. It still wouldn’t mean that Christmas is pagan. 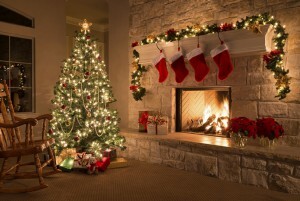 No one can imagine that, if an ancient Roman were sucked through a time portal to our modern Christmas, he would say, “Why, it’s the Saturnalia!! !” Things change, sometimes beyond recognition. Their meanings change. Consider the symbols of Christmas – whether snowflakes and reindeer and Santa, or angels and the manger and the star – and it is plain that neither Saturn nor the sun-gods have anything to do with it. What matters is not what Christmas was centuries and millenia ago, but what it is today. We are here in the middle hour of our grief. So many have suffered so great a loss, and today we express our nation’s sorrow. We come before God to pray for the missing and the dead, and for those who loved them. On Tuesday, our country was attacked with deliberate and massive cruelty. We have seen the images of fire and ashes and bent steel. They are the names of men and women who began their day at a desk or in an airport, busy with life. They are the names of people who faced death and in their last moments called home to say, be brave and I love you. They are the names of passengers who defied their murderers and prevented the murder of others on the ground. 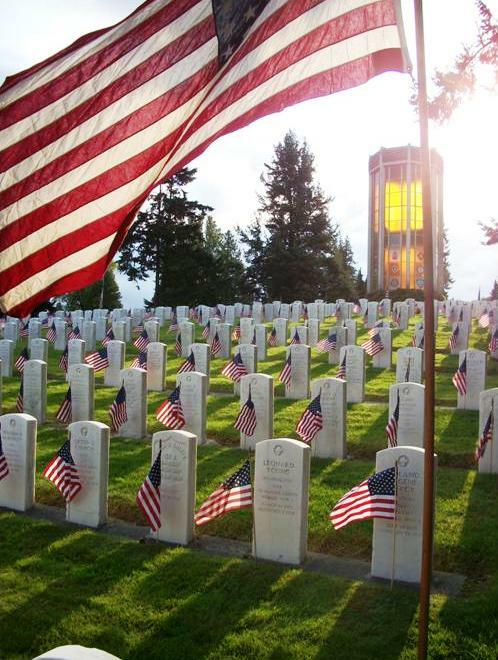 They are the names of men and women who wore the uniform of the United States and died at their posts. They are the names of rescuers — the ones whom death found running up the stairs and into the fires to help others. Others have prayed for the same, searching hospital to hospital, carrying pictures of those still missing. God’s signs are not always the ones we look for. We learn in tragedy that His purposes are not always our own, yet the prayers of private suffering, whether in our homes or in this great cathedral are known and heard and understood. There are prayers that help us last through the day or endure the night. There are prayers of friends and strangers that give us strength for the journey, and there are prayers that yield our will to a Will greater than our own. This world He created is of moral design. Grief and tragedy and hatred are only for a time. Goodness, remembrance and love have no end, and the Lord of life holds all who die and all who mourn. America is a nation full of good fortune, with so much to be grateful for, but we are not spared from suffering. In every generation, the world has produced enemies of human freedom. They have attacked America because we are freedom’s home and defender, and the commitment of our Fathers is now the calling of our time. On this national day of prayer and remembrance, we ask Almighty God to watch over our nation and grant us patience and resolve in all that is to come. We pray that He will comfort and console those who now walk in sorrow. 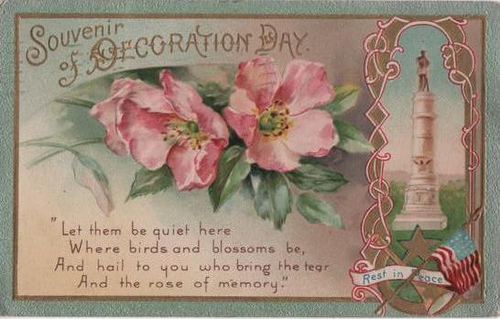 We thank Him for each life we now must mourn, and the promise of a life to come. As we’ve been assured, neither death nor life nor angels nor principalities, nor powers nor things present nor things to come nor height nor depth can separate us from God’s love. May He bless the souls of the departed. May He comfort our own. And may He always guide our country. 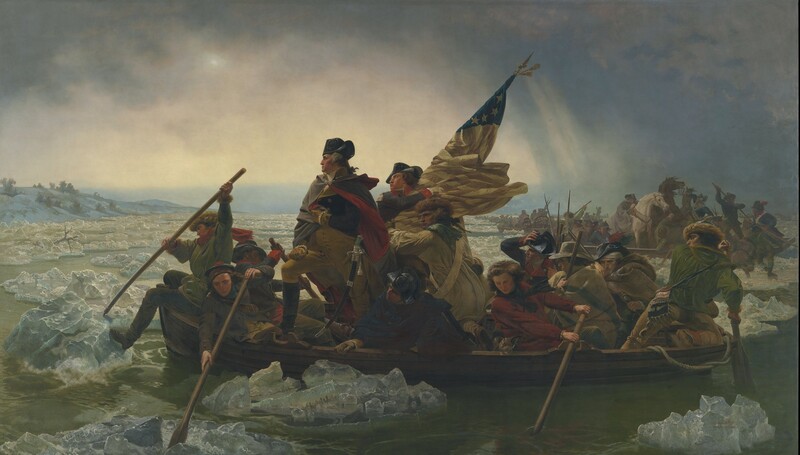 One of the most striking aspects of America’s founding is how many men of such great quality joined in the enterprise. They were men of different talents, different temperaments, different classes, different places. And thus they fitted together almost perfectly, certainly better than some of them knew. In Boston – then, believe it or not, the hotbed of radical, revolutionary zeal – they made the first stand against Great Britain. For more than a decade they forded the turmoil of a rebellious colony and a grasping empire, stood in one challenge after another against King and Parliament. Samuel Adams was one of their leaders, preaching natural rights while rallying his fellow politicians to oppose Britain. Paul Revere was there, too; his Midnight Ride was the apotheosis of his work as a courier for the seditious patriots of Boston. John Adams himself, so inspired by James Otis’ oration against Britain’s writs of assistance, would pour years of determination, and energy, and vigorous intellect into the making of America – a writer of pamphlets, a delegate to both Continental Congresses, an ambassador to France, Holland, and Britain, the author of Massachusetts’ constitution, vice-president, president. Virginia supplied its own share of heroes. Patrick Henry – “a son of Thunder”, as one admirer called him – made common cause with the common people, challenged the powers-that-were in Virginia, and in word and deed stirred the fire that would blaze to independence. Thomas Jefferson gave the gift of an immortal Declaration of Independence; James Madison helped to write the seminal Federalist Papers and in the Philadelphia Convention – creating the Virginia Plan, tirelessly and masterfully advocating for the new government – he earned the title of the Father of the Constitution. Among Madison’s strokes for the Constitution was persuading George Washington to attend the Philadelphia Convention. Washington’s preeminence among the Founders is deserved, but also curious; he lacked the scholarly background so many of them possessed, and put to such remarkable use. His intellect did not burn with the brilliance of Hamilton’s or Madison’s, but they needed him. He was steady and wise, and the sheer respect he commanded could keep people united – and the cause in motion. Alexander Hamilton came out of the West Indies, born out of wedlock and later orphaned. The primary author of the Federalist Papers, the first Secretary of the Treasury, chief military aide to George Washington during four years of the Revolutionary War, and close advisor while he was president – Hamilton was a man of great capability, and great accomplishment. In history, as in the human heart, good and evil entwine, and nothing is quite pure. These men had enemies among each other as well as among the British, and they committed an ample share of mistakes and sins. Some kept mistresses; some kept slaves. They were all flawed men. But they were extraordinary men. They were extraordinary in their abilities, they were extraordinary in what they dared and what they achieved. They were extraordinary in how they arose, at the right time and in the right places, and joined together to create a nation. I would call it serendipitous, except that I don’t believe in fate. See if you can follow this chain of logic. Human defects – mental, physical, and moral – are carried through heredity. In order to eliminate these defects from the human race, the genes that cause them must be eliminated from the gene pool. In order to eliminate such bad genes, the carriers of those genes – that is, people – must be eliminated from the gene pool. To put it simply, the defective must not reproduce. There are three ways to ensure that the defective do not pass on their genes and so continue to drag down humanity with the unfit. The first is to segregate them in institutions where they will not have the opportunity to reproduce. The second is to sterilize them. The third is wholesale slaughter. Which door do you choose to enter a brave, new world? Eugenicists chose door number two, mass, forced sterilization of people deemed unfit by the powers that be. All this sounds like science fiction, but in sad truth, it’s history – American history. 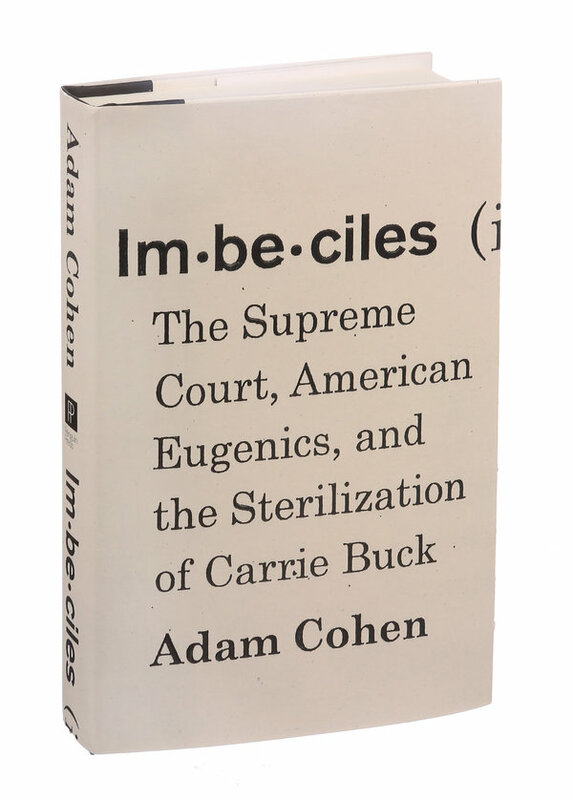 In Imbeciles: The Supreme Court, American Eugenics, and the Sterilization of Carrie Buck, Adam Cohen tells the nearly-forgotten story of eugenics in America. He focuses his account on the Supreme Court case Buck v. Bell, which challenged Virginia’s eugenic sterilization law. This book is structured almost like a series of biographical essays, as the author reaches back into the life-stories of the players in Buck v. Bell and tries to define their motivations. The great strength of this structure is that it makes the book accessible, easy to read, and focused on the individual, human side of the drama. As a way of relating the history of American eugenics, it works surprisingly well, at least in the earlier chapters. The careers of prominent eugenicists like Albert Priddy and Harry Laughlin dovetail nicely with the story of eugenics in America. The chapter devoted to the lawyer Aubrey Strode is, in this respect, more uneven. Much of it is relevant to the book’s topic, but the author wanders on side trails that are not. It is even worse with Oliver Wendell Holmes. The author is clearly fascinated with Holmes’ background as a Boston Brahmin and whether or not he can be rightly regarded as a liberal judge. No doubt some readers will be as well. But these things, which take up page after page of Imbeciles, have nothing to do with eugenics. Indeed, it is difficult to justify Holmes’ inclusion in the book purely on the book’s proclaimed subjects. Holmes’ life crossed the eugenics movement in no significant way until Buck v. Bell, and even in Buck v. Bell, his importance is minimal. True, he wrote the majority opinion and made it clever, sharply expressed, and cruel. But although he expressed the Court’s decision, there is no reason to believe he had any special role in making it. The author speculates on how he may have influenced his fellow judges, but there is no evidence that he actually did. The Supreme Court decision in Buck v. Bell was 8-1. Oliver Wendell Holmes was just another vote in an overwhelming majority. Although Imbeciles lost focus in evaluating the life and career of Oliver Wendell Holmes, it remains a highly informative book on a fascinating, neglected piece of American history. It is also skillfully written, being lucid and articulate without being showy. The information is, moreover, well-chosen and well-presented, and the sources are varied and reliable. I highly recommend Imbeciles to all lovers of history. Summer is here early, and I don’t say that because of the weather, which is, at this particular place and time, overcast, rainy, and certainly no warmer than 60. I say it because the school year is over and done, and I’m settling into summer routines. My job takes less time than the classes, with attendant tests and papers, I’ve been occupying myself with since January, so now I’m turning to other things. Writing queries, a short story or two, an epic hermit crab essay. This blog. I also have a summer reading list, which consists solely of books that possess these two qualities: (1) I choose them; (2) I don’t have to write papers about them. The first of these books is Imbeciles, which is not what it sounds like. The book title is taken from a declaration made by Supreme Court justice Oliver Wendell Holmes regarding the case Buck v. Bell: “Three generations of imbeciles are enough.” With the ruling of Buck v. Bell, the Supreme Court upheld the forced sterilization of the socially unfit – those deemed criminal, insane, or “feeble-minded”. This is eugenic sterilization, the elimination of undesirable genes through sterilizing undesirable people, and it is now largely forgotten. A hundred years ago, however, it was being mandated in American law. I am about one third of the way through Imbeciles. I’ve just finished reading about an expert witness called in to support the forced sterilization of Carrie Buck, the young woman at the center of Buck v. Bell. This expert never met, let alone examined, Carrie, or her mother and daughter – the first and third of the supposed three generations of imbeciles. He did, however, request comprehensive data regarding her genealogy, blood relatives, and their literacy, social status, mental test records, and physical and mental development. What strikes me is that, before testifying that a young woman should be sterilized by the government, he wanted to see her family records, but he never wanted to see her. He was interested only in data, facts and figures about people without faces. It occurs to me that it is through this divorce between data and people that intellectuals get themselves into trouble. James Madison, more than a Founding Father, is the father of the Constitution – the author of that document, less dazzling but more solid, more worthwhile than the Declaration of Independence. 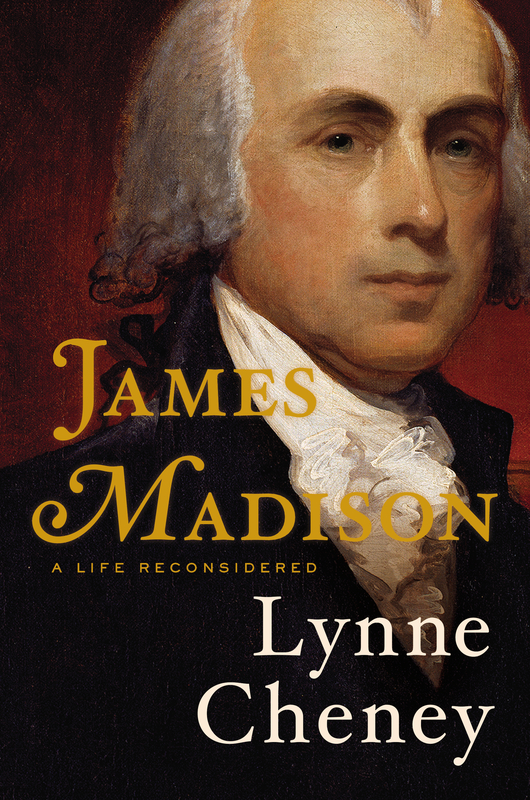 In her new biography of our fourth president, Lynne Cheney asks us to consider again James Madison, his achievements and their meaning. James Madison: A Life Reconsidered is a beautifully written book. Lynne Cheney acquits history of the old charge (made credible by many textbooks) of being dry. With an eye toward evocative details, with flowing prose, she artfully tells Madison’s story and captures, in him, the humanity that is the heart of history. Cheney puts forth the theory that Madison suffered from complex partial seizures and builds a strong case for it – a substantial contribution to the study of James Madison. Future writers will do well to consider it, even though Cheney seems, at times, to make too much of Madison’s epilepsy. She gives it, without support, as the reason why Madison became an advocate for religious liberty. Also without support, she speculates that it was why Madison’s first love broke off their engagement and why Madison once rejected the idea of becoming president. Cheney even speculates that a rather involved criticism of Madison, comparing him to a peddler selling ineffectual medicines, was in fact a veiled attack on his epilepsy. This is, indeed, one of the faults of the book: a little too much theorizing, a few too many unproven assertions. Doubtless Madison read this book, probably he thought this, and no doubt this is what happened. These phrases, put to good employment by Mrs. Cheney, show at least that she is sensitive that these are not proven facts. Yet they are so recurrent that one wishes she had more often left the silence of history undisturbed. But the primary fault of James Madison is that it is a little too uncritical, a little too biased in favor of its subject. Mrs. Cheney never does justice to Madison’s opponents. She takes an irritated tone toward Patrick Henry, stabs at Alexander Hamilton, and criticizes James Monroe for entering a presidential race that Madison was already in. Even Thomas Jefferson, generally well-treated, is pointedly put down for Madison’s benefit. And this hurts her book. Her account of the vital political struggle between Madison and Hamilton never cuts to the core because it can never see Hamilton’s point. One cannot fully capture the stakes and meaning of such a great debate when one will not credit the other side. Cheney’s treatment of the War of 1812 is likewise hobbled by her unwillingness to critically question Madison’s assumptions – that America had to choose between France and England, that it ought to choose France. So James Madison: A Life Reconsidered does not go as deep as it could. But as far as it does go, it is first-class. A telling of Madison’s life, with heart and a certain artistic skill, it is recommended for anyone interested in the Founding Fathers or the beginning of America.